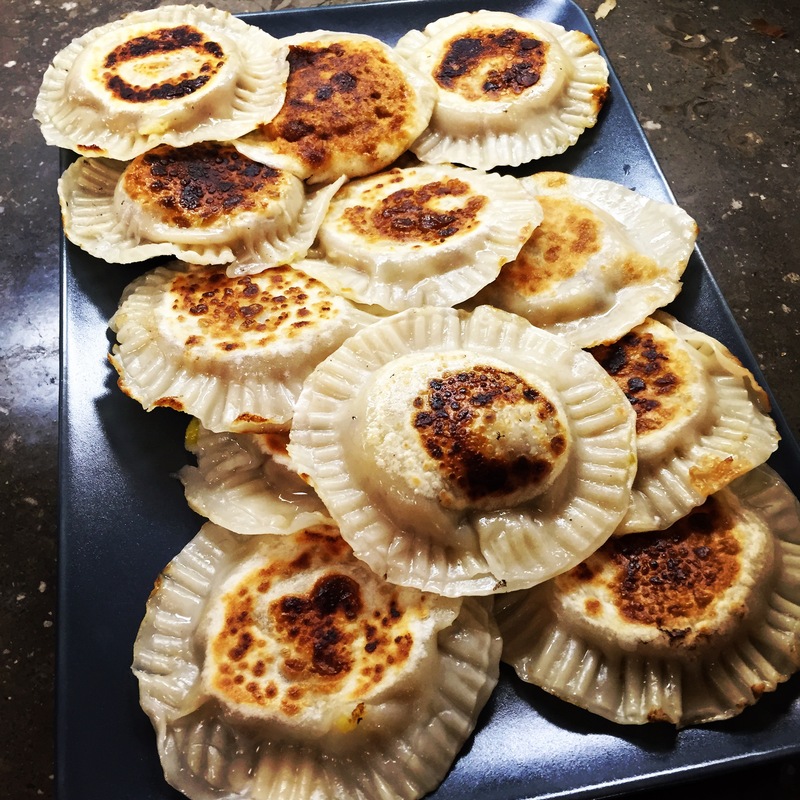 Pan fried leek and potato pierogi. 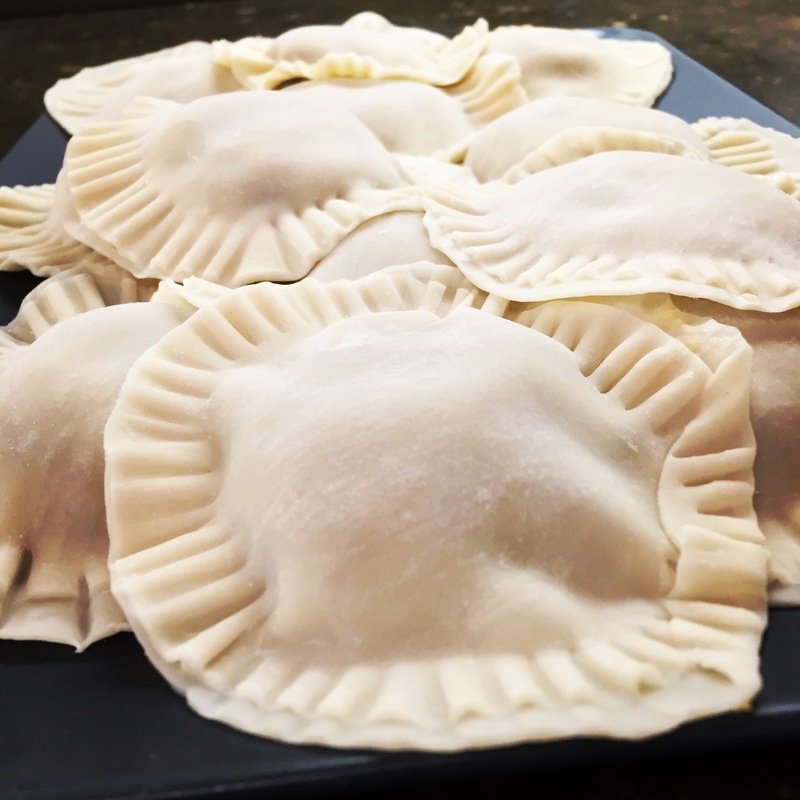 This is a pretty quick potato pierogi recipe that uses pre-made round Chinese dumpling wrappers. Chop off the tough green stalk off the leak so you have the white and light green portion of the leek. Split the leak length wise and clean the dirt from within the layers of the leek. Sliver the leeks and saute them until they start to caramelize. Place the potatoes in boiling water and cook until soft and can be pierced easily with a fork. Mash the potatoes with the milk and butter and salt and pepper to taste. Mix the sauteed leaks into the mashed potato. Place a dumpling wrapper flat on a plate and add a heaping table spoon of the mashed potato and leek mixture on the wrapper. Dab water on the outer edge of the wrapper. Lay a second wrapper on top and press the edges of the wrappers together. Press fork tines down on the outer edges of the wrappers to seal the edges closed. Pan fry the pierogis on each side then add a little water to the fry pan to steam them.